New Orleans is always bustling with music, especially jazz and blues. With endless great places to eat seafood, Cajun, on and on, hundreds of interesting and unique shops to explore, fantastic night clubs, and incredible history. You will love The French Quarter! Comfort, convenience and the professionalism of the staff reflect the distinctive hospitality of Plaza Suite Hotel Resort and this fabulous city! Enjoy staying close to all the action in New Orleans! Week 10 every year! Inquire for more details! Come enjoy the culture, entertainment and more in New Orleans! Week 43 on even years! Inquire for details! Distinctive resort near the New Orleans excitement! 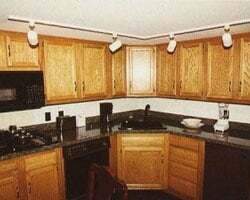 Yearly usage in February week 7 in a unit with a loft! Make an offer! Jazz week (May week 18) in New Orleans! Buyer may receive a title fee credit; inquire for details! Own a slice of quaint & exciting New Orleans! Yearly usage in January week ! Make an offer today! Enjoy week 9 in New Orleans! Nearby activities from fishing, to golf, & more! Buyer May Receive A Title Fee Credit, Inquire For Details! Near Harrah's Casino, Riverwalk Marketplace and more! Buyer May Receive A Title Fee Credit, Inquire For Details! Annual week 9! Only blocks away from the French Quarter! Buyer May Receive A Title Fee Credit, Inquire For Details! Classy resort near all the New Orleans fun! Yearly usage February 11th-18th! week, with option to float! Make an offer! 1st floor unit! Corner of Poydas St and Canal St, just 2 blocks from Harrah's Casino. Only 1 block from river, mall and steamboats! 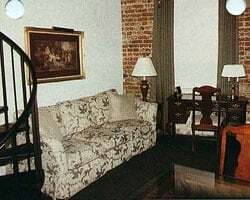 Great getaway just blocks from the French Quarter! Yearly usage in Lovely June Week! Make Offer! Neg! The Perfect Romantic Getaway in Fabulous New Orleans! 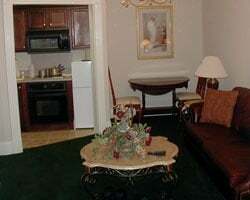 Distinctive resort near the exciting French Quarter! Yearly usage in September week 38! Buyer may receive a title fee credit; inquire for details! Recently Reduced Price! 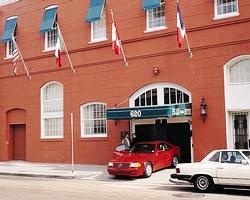 Just blocks away from the French Quarter! Buyer may receive a title fee credit, inquire for details! Central location near many of New Orleans most popular activities! Buyer May Receive A Title Fee Credit, Inquire For Details! Enjoy week 38 every year in the Big Easy! Buyer may receive a title fee credit, inquire for details! New Orleans is full of culture, entertainment, relaxation and much more! Buyer May Receive A Title Fee Credit, Inquire For Details! Resort is in the heart of all the culture, entertainment and more! Buyer May Receive A Title Fee Credit, Inquire For Details! Appealing resort in exciting New Orleans! Close to all the action! Inquire now! Come explore New Orleans during red season week 12~! Buyer May Receive A Title Fee Credit, Inquire For Details! Enjoy unforgettable vacations in New Orleans each year! Highly motivated seller! Price Negotiable! Come to New Orleans and take in one of the best Music Capitals in the World! Labor Day Weekend! Week 52! Resort is in the heart of all the culture and entertainment of New Orleans, walking distance from Harrah's Casino!